Carabiner with Compass Key Tag is 4 3/4" in length aluminum carabiner. Also, with lanyard and compass. 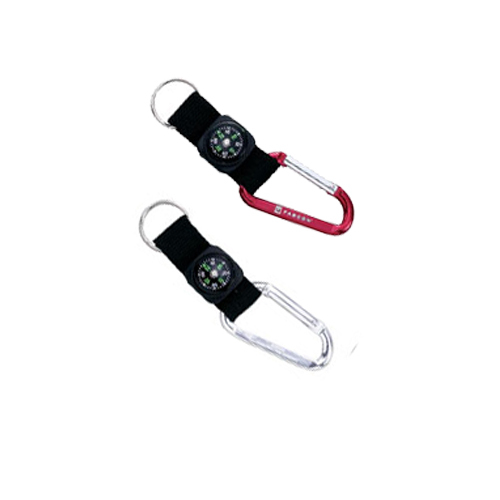 The Carabiner with Compass Key Tag is a Metal carabiner with liquid filled compass, nylon strap & keyring. Colors: Red and Silver.